Sprüth Magers Berlin currently presents a solo exhibition of work by Jenny Holzer. Entitled Endgame, the exhibition includes a series of paintings marking the artist’s return to the medium after more than thirty years. Jenny Holzer searches for ways to make narrative a part of visual objects, employing an innovative range of materials and presentations to confront emotions and experiences, politics and conflict. 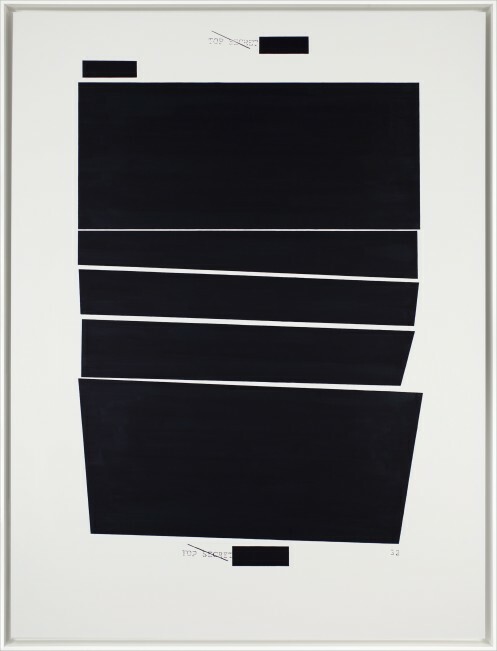 While looking for subject matter for electronics and projections, the artist located a number of redacted, declassified government documents including policy memos, autopsy reports, and statements by American administration officials, soldiers, detainees, and others, generated during the wars in Iraq and Afghanistan. 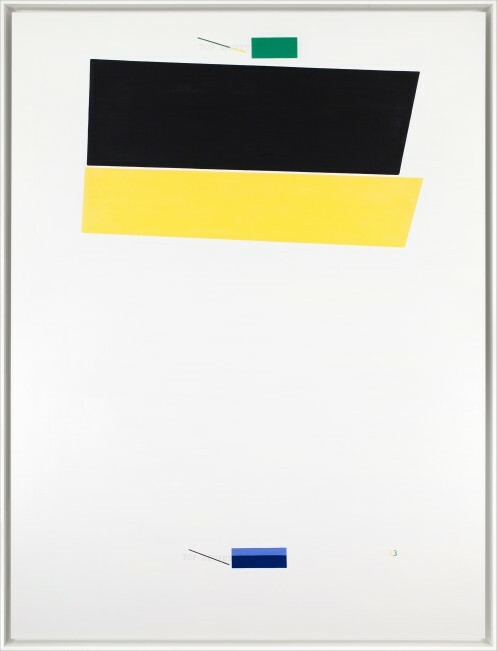 These opaque documents became the foundation for Holzers silkscreened paintings in 2005; she began to create the fully hand-painted works on show in the gallery in 2010. Color, scale, and the mark of the hand are the only alterations that the artist makes; the graphic geometric shapes are the censor’s, and the surviving text is original. Holzer’s subtle alterations exacerbate how much one isn’t allowed to see.